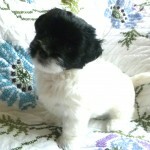 Elegant Ellie's First — Comments Off on One Week Old-Ellie’s three Boys (Choco’s Tres Amigos) are AVAILABLE! 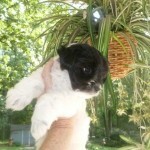 One Week Old-Ellie’s three Boys (Choco’s Tres Amigos) are AVAILABLE! 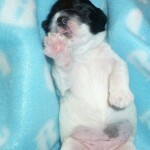 Contact me at 314-772-4874 for information about this beautiful, all male, AKC litter. 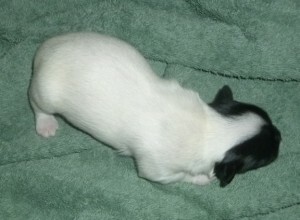 #3-White with cream markings, Scooter, is showing signs of warm cream coat and white. He remains the largest of his litter but not by much. As always, Momma Ellie is excellent at evening out the playing field so they are all about the same weight. sweet Scooter weighs 14.3 ounces at one week and is AVAILABLE. Elegant Ellie's First — Comments Off on Ellie’s baby girl will be called Bella and will live in St. Louis MO! 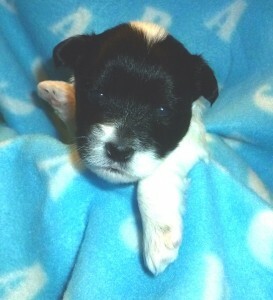 Ellie’s baby girl will be called Bella and will live in St. Louis MO! 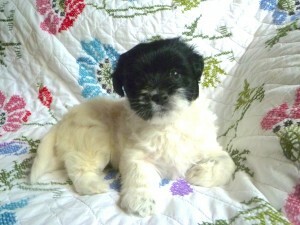 Tomorrow is a big day for Hush Harbor Havanese. Ellie and Roy Perkins will be returning to St. Louis to live with our daughter and son-in-law,Erin & Neal, once more. 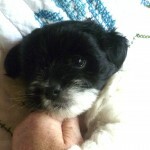 And Ellie’s sweet baby girl, who will be called Bella, will go to her new forever family, also in St. Louis. We will miss them all three, but are also very happy to carry on our Hush Harbor plan for all of our Havanese to live in our homes as a part of our family , not in a kennel setting. How our Puppy Palace works. This is our puppy palace. Notice two stools- one on the outside and one on the inside. We call the one on the inside the nursing stool. These allow Momma easy access to her pups to nurse, clean and snuggle. When the Momma begins to wean her pups, she can sit there, out of nursing reach, yet still monitor and play with her pups. The potty pad is covered with cloth, not paper for shredding by the playful pups. There is a food bowl, a water bowl but also a water bottle. The bottle is their favorite at first, similar to nursing, but then they prefer the bowl. Unfortunately, the bowl gets bumped so the water bottle assures that they always have access to a good clean drink. This Palace has easily served as home base for a litter of 6 but is great for just one precious pup. 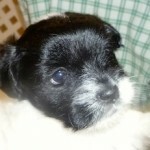 Elegant Ellie's First — Comments Off on RESERVED: Ellie’s Pup is 8 weeks old, and a beauty!! RESERVED: Ellie’s Pup is 8 weeks old, and a beauty!! Ellie’s Pup is now 3.4 pounds. She is right on target for the small side of the standard. 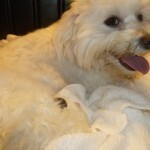 She has a very social personality and loves to play with the adult dogs and her people. 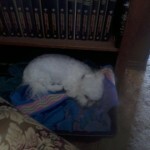 She also still loves her naps. She can be ready to travel in just one week. Call to reserve her with a $500.00 deposit. 314-772-4874. 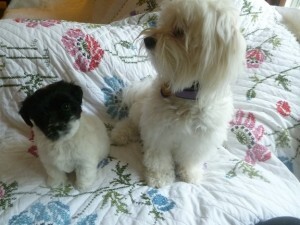 Don’t miss this last chance for a Hush Harbor Havanese this calendar year. It’s time for our wonderful Momma’s, Gracie & Ellie, to take a break. This beautiful little girl will be the last pup available this calendar year. She is for sale now and can be reserved for a $500.00 deposit. 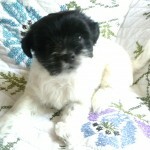 She was born on June 6th and will be ready to travel to her new forever family around August 8th. She has an incredible personality both very social with people and other dogs, but also content to be quiet and independent in her own space. She has begun her puppy shots and has been given a good report from all three of her well baby exams from our vet. She is enjoying being the center of attention here at Hush Harbor. Our entire pack and extended family is falling in love with her. She’ll steal your heart and is sure to fit into her new family. Give us a call at 314-772-4874. Elegant Ellie's First — Comments Off on Ellie’s Pup. We are ALL havin’ some fun now!! Elegant Ellie's First — Comments Off on Ellie’s pup will soon be ready to travel to her new home. 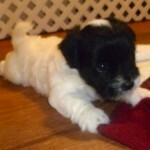 Call 314-772-4874 for information about this beautiful AKC Havanese puppy. Ellie’s pup will soon be ready to travel to her new home. 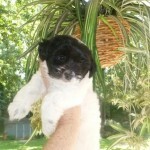 Call 314-772-4874 for information about this beautiful AKC Havanese puppy. 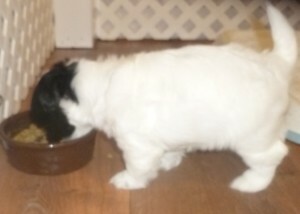 Ellie’s pup is eating soft puppy food and doing very well. She will be ready to travel to her new home around Aug. 8th. She can be reserved with a $500.00 deposit. Elegant Ellie's First — Comments Off on Call to find out more about how to reserve Ellie’s pup. 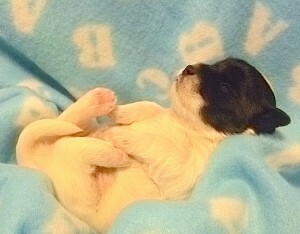 Call to find out more about how to reserve Ellie’s pup. 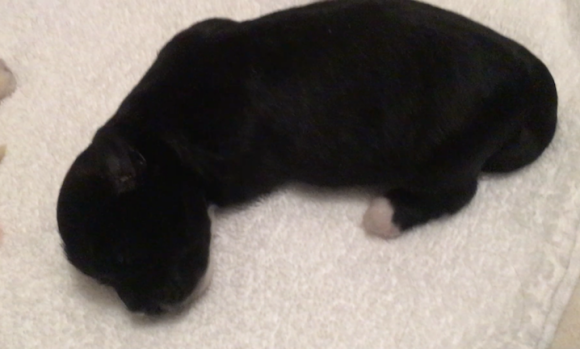 Ellie’s pup is turning three weeks. Her beautiful silky Havanese hair is coming in thick and full. She is trying to walk and stand. As you saw on this video, she has even tried to bark. 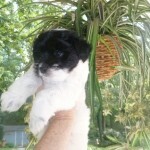 Part of the fun of Havanese is that their coat coloring and markings are always a surprise. They can change frequently in their lifetime. Ellie’s pup is no exception. 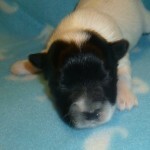 Her black mask and ears are staying well shaped and the white around her nose gives her face definition. But, to our surprise, she is developing spots. What was once solid white is becoming MORE & MORE spotted!! I think rather than an extreem piedbald(solid color), She may be a Belton(spotted) Parti (a second color that parts the dominate solid color)? Time will tell. Regardless, she is adorable!!! Elegant Ellie's First — Comments Off on Ellie’s pup is getting her feet. Ellie’s pup is getting her feet. 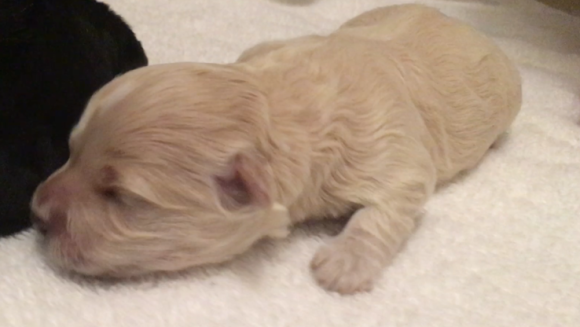 There is nothing quite as sweet as the purr of a baby Havanese or as exciting as their first bark here at Hush Harbor Havanese. Notice that she appears to have black thumbprints on his back, as if held by someone with ink on their hands. No, that’s not dirt or ink. 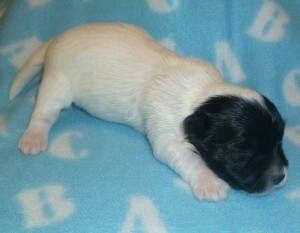 It seems that she is going to be a white & black Belton Parti. A Belton has black spots in various sizes in random places. The patterns and density of those spots may change through out his life. 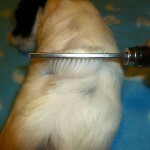 This is all part of why Havanese are so much fun. Marking and colors can change several times in their lifetime. While her “spots” will no doubt change I expect her to keep her black mask and ears..
She can be reserved with a $500.00 deposit that is applied to her final contract. 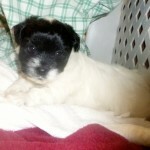 She will be ready to travel to her forever family around August 8th. 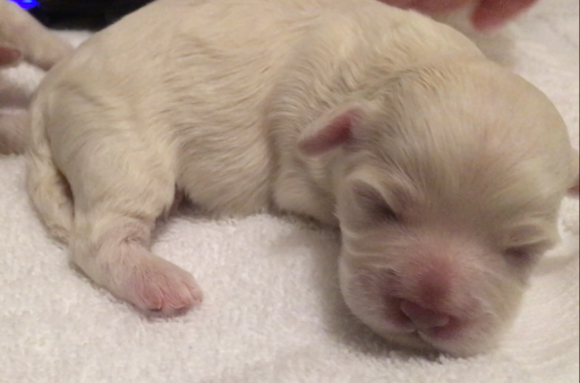 Ellie’s pup is two weeks old. She will be ready to be released to her new family around Aug. 8th. She is white with black mask and seems to be developing little black spots on her back. She is eating, resting, crawling and growing. Her eyes opened on Father’s Day, June 16th. She is the only puppy Hush Harbor has available. To reserve her requires a $500.00 deposit. 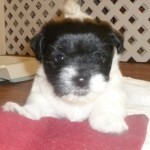 Give us a call at 314-772-4874 so we can get to know you and tell you about this beautiful Havanese AKC puppy. 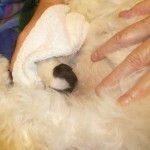 Elegant Ellie's First — Comments Off on Ellie’s pup is growing and maturing right on schedule!! Ellie’s pup is growing and maturing right on schedule!! This was a big weekend for Ellie’s pup-she hit the 1lb. mark. 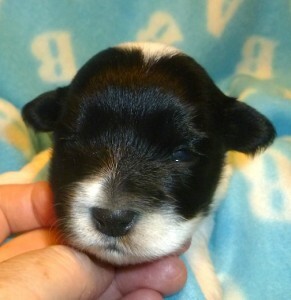 Her eyes will open any day now, and then she will begin to be even more mobile. She sleeps for long spells undisturbed and loves to be snuggled. These are both signs of a healthy and content puppy. Elegant Ellie's First — Comments Off on Ellie’s pup is thriving!! Elegant Ellie Perkins has a beautiful little pup. 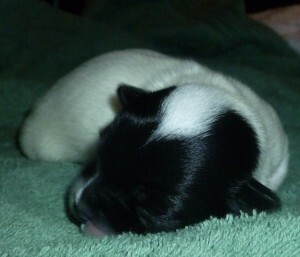 She is one week old. 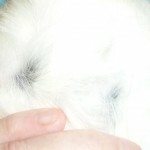 She is developing tiny black dots, like ink drops in several places on her back. She may well be a BELTON PARTI, time will tell. She is thriving and growing at about one ounce a day. She is very strong and mobile already. 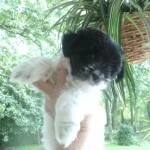 Her black mask and ears are nearly perfect and set off his stunning silky white Havanese coat. She is precious to us already!! 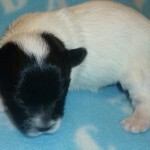 Elegant Ellie's First — Comments Off on Thursday, June 6th at 2:40 PM Ellie gave birth to her BEAUTIFUL puppy!!! 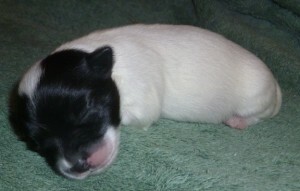 Thursday, June 6th at 2:40 PM Ellie gave birth to her BEAUTIFUL puppy!!! It’s been a long wait, but well worth it! Ellie had a BEAUTIFUL white female with perfect black mask and ears. While we were surprised that she only had one pup, we are thrilled with this beautiful healthy little girl. There were no complications in her delivery and she is a natural Momma. Ellie’s pup is doing well and resting with her mommy today. She is a loving and attentive Momma. 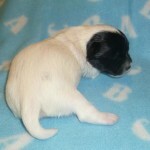 We are sure to spoil this spectacular little pup.